Unusually I am doing a couple of posts today, I am sure you will all forgive me for the amount of information I am putting on my blog. It's a big, important day. When you are faced with a report as big and as comprehensive as Born Too Soon: The global action report on pre term birth it can be hard to know where to start. I was very fortunate and honoured to be invited to a press teleconference to discuss the report. One of the key things advocated in this report is Kangaroo Mother Care. In the developing world, as I mentioned in the earlier post, when we talk about preterm birth we are often talking about babies born after 32 weeks gestation. Often, incubators are hard to come by, or are broken, or over subscribed, or even dirty. Did you know there is a free solution to an incubator for some preterm babies? Kangaroo care is the art of placing a baby on the chest, usually of the mother. However if the mother is unavailable a father, a grandparent, a sibling or even a foster carer is a substitute. The act of kangaroo care helps to keep a baby's temperature regulated, it helps bolster the mother's milk supply, and it means the baby can feed on demand. No special equipment is required. Now this seems so simple, but the message is not getting through in all countries. On the conference call there was a writer from Mexico saying that in their hospitals mothers are discouraged from touching their babies. 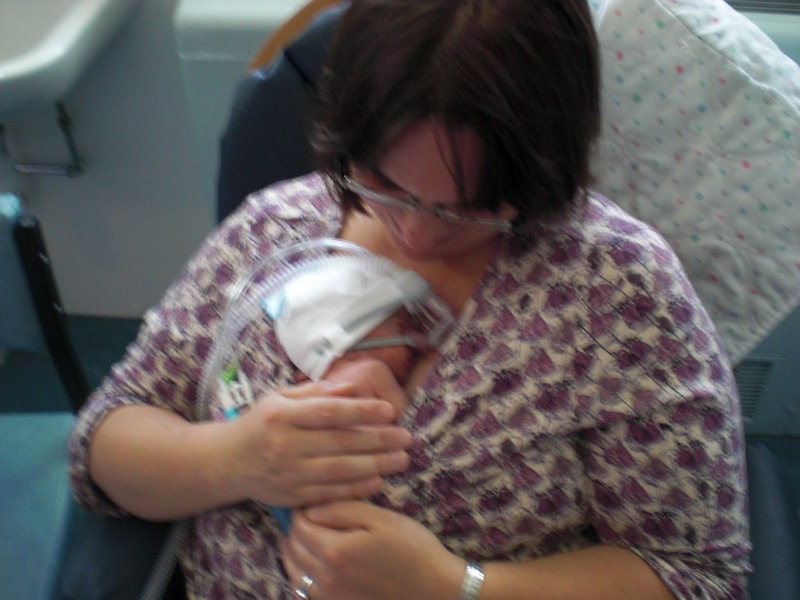 It is clear that the message about kangaroo care needs to get through to where it matters. Christopher Howson of the March of Dimes stated that its estimated kangaroo care could save 444 000 lives a year. Nearly half a million babies, by a simple, low cost solution. Kangaroo care has huge benefits for the baby in terms of weight gain, temperature regulation, learning to breathe, controlling heart rate, but it has massive benefits for the parents too. Just look at these happy parents. Kangaroo mother care can save lives. Help spread the word. 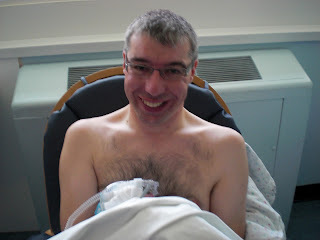 We noticed a vast improvement in Alex's condition after we started kangaroo care at around 32 weeks gestation. Maybe it was coincidence but he started to improve with his breathing and went from a baby who didn't want handled to an affectionate little boy who loved to snuggle with mum. It was my first real bonding experience with Alex and without it I think I would have struggled more with the NICU experience without it. Yes, yes, yes! Kangaroo care is great. It was strongly promoted in NICU at my hospital (Monash Medical Centre, Melbourne), and was a lovely thing for both my husband and I. When you have the option of sitting holding your tiny baby's hand through the holes in a humidicrib, or snuggling with them, kangaroo-style, there really is no option. My twins, born 32 weeks, were starting to explore breastfeeding by 34.5 weeks, due in large part to several sessions of kangaroo care. Being able to hold them, even when they had wires and leads attached to them, felt calming for both me and my babies. Oxygen and temperature alarms rarely sounded for my babies when they were snuggling with me, even in the very early days. It is all good as far as I can see.